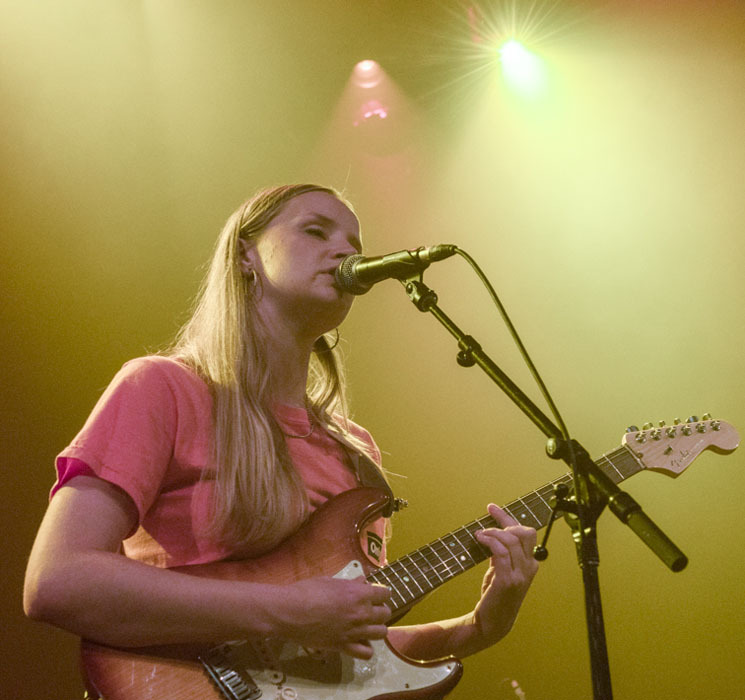 Standing under the glow of spotlights, Charlotte Day Wilson looked like a divine being as she performed a compelling set at the Vogue Theatre on Saturday night. There is great value in keeping things simple and the Toronto-based singer-songwriter didn't need any excess or dramatics to make her point. With a hushed Joni Mitchell-like quality to her voice — subtle, soulful and rich in cadence — Wilson's artistry spoke for itself as she played a slow-burning selection of mostly new material. She impressed doubly with her multi-instrumental dexterity, working between bass, guitar, MIDI keyboard, and, for the biggest highlight of the evening, saxophone, on which she delivered a breathtaking rendition of "Find You," from last year's CDW, that also had her demonstrating her vocal range as she climbed octaves. The band, comprised of just a drummer and keyboardist, provided gentle backing accompaniment, with the biggest jam of the set saved for the last few bars of "Work," where Wilson shredded her bass and the percussionist nearly knocked over his cymbals. It was a nice, punchy way to wake from the dreamy state that Wilson produced and she, herself, broke out into a wide grin, too.